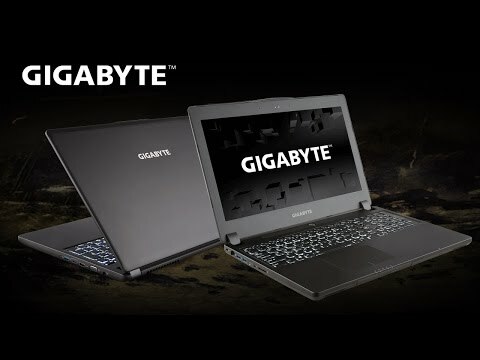 This formidable P37X gaming laptop is from GIGABYTE’s 10 series systems, it boasts a memory density sweet-spot, macro functions and lasting battery life among other useful aspects. 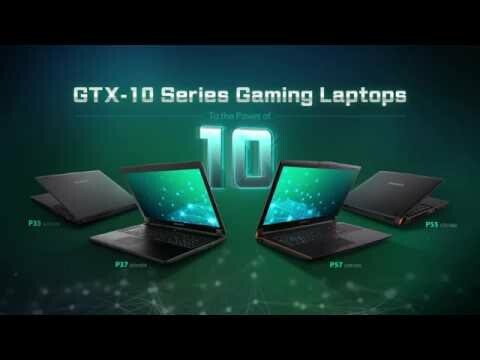 The visuals are backed by a UHD (4K) IPS display and are powered by a GeForce GTX 1070 GPU, together guaranteeing a detail filled world every time you’re gaming. Experience top-end gaming anywhere. The mix of innovative thermal design as well as continual commitment to user experience generates this super slim and lightweight gadget—22.5mm / 2.8Kg . The P37 will definitely continue to reign as the most powerful laptop in its class. Experience a 4K laptop display with ultimate clarity, the 3840 x 2160 resolution perfectly presents the stunning details of gaming scenes. The unreal sharpness and color intensity grant unobstructed viewing pleasure for an impressive, immersive and mesmerizing gaming experience. This technology runs dual fans and dual heat pipes that run across your CPU and GPU. This ensures excellent thermal conductivity for outstanding cooling that last much longer. Stunning performance and superior stability has always been, and will be a GIGABYTE standard for gaming laptops. The fans embedded into the laptop can be customized to your preferred speed or you can utilize the 4 fan modes. For a peaceful process turn on quiet mode or choose gaming mode for intense gaming sessions. Backlit keyboards come in a variety of modes. Some keyboards work automatically and will adjust the light emitted dependant on the user’s environment. Others you have complete control over and can set particular areas of the keyboard to glow more than others or even pick from a variation of colours. Utilize the exclusive macro keys complete with a Macro Hub from GIGABYTE, capable of setting combination keys for complicated operations. With rapid responses of macro keys, you can trigger numerous attacks simultaneously ensuring in-game dominance - keep up with the pros. The ingenious design of swappable ODD/ HDD slot* brings more choices as well as opportunities for gamers. The swappable bay can take a DVD RW drive, Blu-ray drive or additional 2TB HDD. Ultimate customization creates unprecedented mobility. *Product specifications and appearance may vary by model, country or region. Mobile gamers or anybody who likes to game on the move will find a vital part of their gaming laptop is a dependable, long-life battery. Compared to other slim, gaming laptops this battery kicks out an additional 21% energy generating up to 8 hours of usage, whether gaming or using resource-demanding application this uncompromised power will keep your gaming cravings at bay. The USB type-C is a universal connector, connecting a USB is no longer a fuss. More importantly the USB 3.1 Type-C has twice the throughput of USB 3.0, transferring 100GB video in as little as 80 seconds! To facilitate being the full streaming solution each unit includes TriDef® SmartCam software, you are now able to remove backgrounds without the hassle of using a green screen. Through the SmartCam application you can now apply live filters, and fully control your background, not only while streaming, but also through other video applications such as Skype. The Smart Dashboard allows you to monitor your system information in real-time. It shows CPU & GPU loads, temperature, fan speed, network conditions and power scheme. All this with a single glance.